Whether it's with a sock or marionette, Pennsylvania is full of various types of puppet shows. These shows are certain to impress and amaze your young ones. Check out our comprehensive guide of the most interesting puppet theatres in Pennsylvania here! Full Body Interactive Puppet Performance! 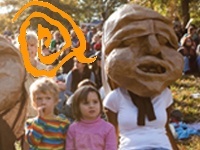 The Spiral Q Puppet Theater is unlike any other conventional puppet show you've ever fathomed. The puppets are full-body costumes and their stage is the world. Performing mostly outdoors and not limiting themselves to your average stage size, their themes border between performing arts and social justice. Just because you are "sitting" in the audience does not mean the play won't wind up right next to you! Founded over 16 years ago, The Spiral Q originally began as a support for advocacy efforts for people living with HIV and AIDS. Be sure to check The Q out at one of their outdoor performances or parades. It will be a spectacle not soon forgotten! 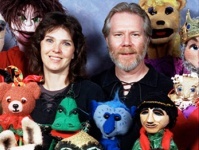 Over 30 Years of Cultural Puppetry Experience! Tuckers' Tales Puppet Theatre has been serving the Greater Philadelphia region for more than 30 years! They are available for private shows and have a scheduled list of public shows you can go check them out at! 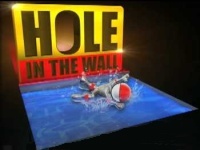 Shows range from 30 minutes to 1 hour and vary content between young children and older kids. Tuckers' Tales currently has a list of 24 different shows. Shows from cultural styles, to educational, holiday and even some original shows created by Tom and Marianne Tucker themselves! Pricing for shows range from $425 - $475 for various shows. Tuckers' Tales is also available for teaching of puppetry. Schedule them for your next big event! 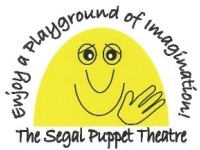 The Segal Puppet Theatre and Company has been a forerunner in the puppetry industry in Philadelphia for over 40 years. Mark Segal and Dave Fiebert have been creating some of the most entertaining and educational shows around. Their shows range from 15 minutes long to up to an hour. Dave has 15 unique shows that differ from shows he and Mark perform together. Their most notable performance is the Tooth Buddy Tales, created in 1986. The show is a sponsored dental program aimed at awareness and education on dental hygiene in a way that kids will understand and enjoy. Book them for your next puppetry needs in the future! Two Wonderfully Unique Puppet Shows! Abby London's Puppet Shows are just a taste of the many performances she does in the Greater Philadelphia region. Performing for over 15 years, Abby London has developed 2 different critically acclaimed performances. The first show is titled "The Petting-Zoo Puppet Show" and features several puppet animals with lively and witty personalities attempting magic tricks. Some succeed at their tricks and others fail miserably sparking waves of laughter from the audience! Her second show is, "The Silly Monster Puppet Show." This show is about five cute monsters that Abby attempts to civilize, but to no success. 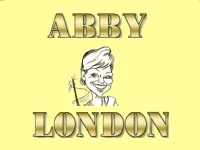 Give Abby London a call for your next party! Sure to be a hit! The Premier Marionette Performance in Pennsylvania! Founded over 20 years ago, Hole in the Wall Puppet Theatre specializes in marionette performances. Tickets for various shows are $9 and run approximately 1 hour. Shows range from kid shows to adult specific shows. Currently, their most popular show is titled "The Pirates of Treasure Island" and is available to see on Saturdays at 10 am and Sundays at 1 pm. Their upcoming performance of "Cinderella’s Christmas" begins after Thanksgiving and runs all through December at the same show times and price previously mentioned. This is the top marionette performance in Pennsylvania. You won’t want to miss it!